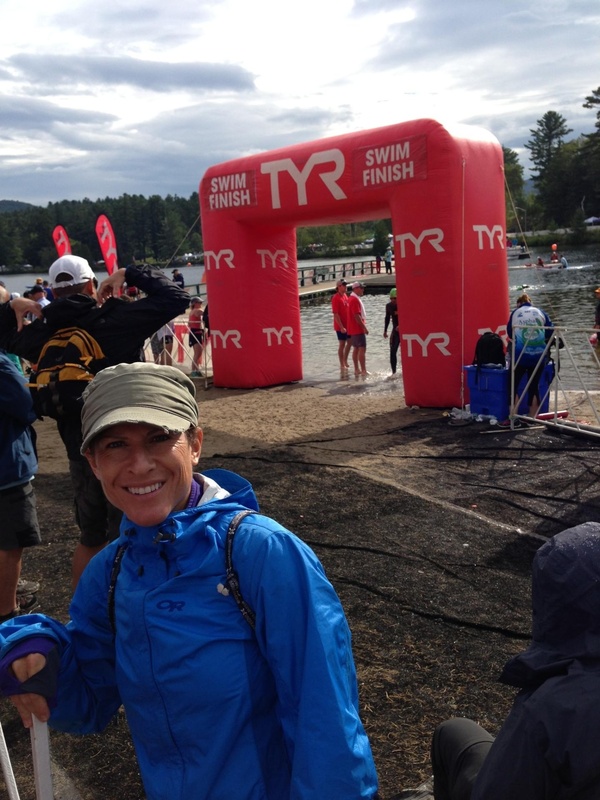 This past weekend I went to Lake Placid for my fourth consecutive year to spectate the IRONMAN event. When I witnessed this event back in 2010 for the first time, it rocked me like no other event ever has. I have always been emotional when it comes to races, but THIS event….forget it. As the athletes bobbed in the water, waiting for the gun to go off to signify the race start, “The Voice” Mike Reilly had me in tears within minutes. “Only YOU know what it took to get here. The early mornings…etc”. I lost it. The rest of the day was no different. It was a day I will never forget, and one that keeps me coming back every year. This year I was able to experience the weekend with a first timer. A client of mine who is just starting to get into triathlons and wanted to see what this IRONMAN was all about. it took just 4 hours in the car for her to start to realize what the hype was about. 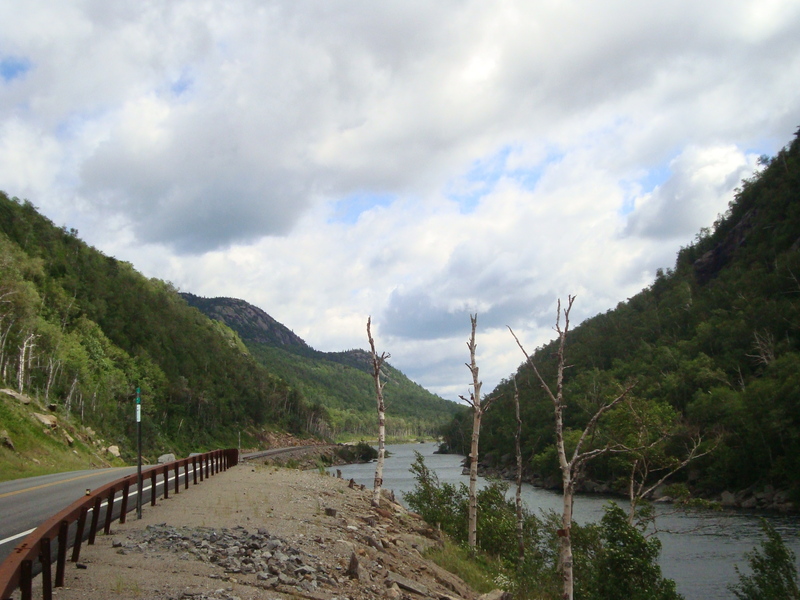 The Adirondack’s serving as a backdrop as they surround the lakes and rivers of this picturesque town. So majestic that they can literally veer you off the road as you are mesmerized by their overwhelming beauty. The thousands of athletes that migrate to this small town, filling the streets of downtown making even the most fit feel out of shape. The inaugural “bike loop” that we do every year, the Saturday before the event. The feeling of camaraderie you feel as you interact with strangers who quickly feel like friends. Then….race day. I will admit, that while the race start was much safer for the athletes, having them start in waves rather than a mass start made it a lot less dramatic for the spectators. Selfish, I know. However, the drama of the swim was still to come. We decided to stay for the end of the swim, watching the athletes chase down the 2:20 cut-off. Mike does an awesome job of rallying up the crowd to cheer for the swimmers who are going to cut it CLOSE. There were 2 athletes who JUST made it, literally within 10 seconds of the cut-off. Then came the woman who finished about 20 seconds after the cut-off. She was pulled from the race, and immediately embraced a family member, both of them crying. The 5 of us girls lost it. Near sobbed. Ugly tears. Welcome to IRONMAN. It was only 9am. As the day went on, so did our emotional roller coaster. Cheering for the handicap athletes, the 76-year-old, the 18-year-old, the first timers, the 106th timers. The elite professionals, finishing under 9 hours. The “weekend warriors” finishing in 16 hours. The married couples, crossing the finish line holding hands. The Dads that would stop and hug their children before they finish. The husbands who would kiss their wives at the oval finish. The father/daughter who we are friends with who crossed the finish line holding each others hands high in the air, finishing a day that they will never forget. The RAW emotion as the athletes finished. Some pumping their fists, screaming with joy. Others overcome with tears of joy. Some doing cartwheels, while others LITERALLY collapsed over the finish line. The one man who crossed the line and went right to the side fence, where is wife stood, both of them sobbing as they held each other for no less than 3 minutes. 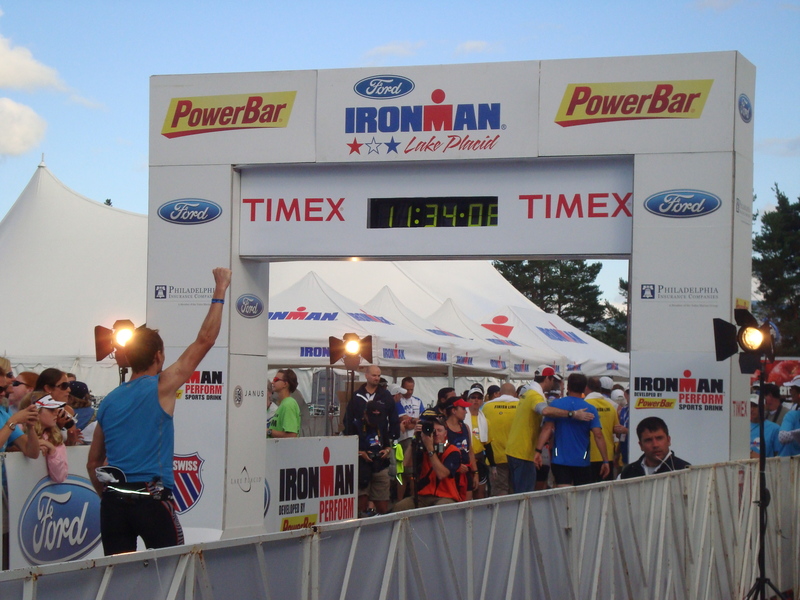 If you have done an IRONMAN, be proud. If you have no desire to do one, at least do yourself the favor of attending this event. If anything, you will see what dedication, hard work, and pure emotion looks like. And if you want to see what a hot mess looks like, come to IMLP next year, I will be the girl with the ugly tears as I watch my brother compete in his first IRONMAN event! Today I start the process of Transcendental Meditation. I am doing it for several reasons. I won’t go into all of it, but one thing that I am intrigued about more than anything is how the mind works. I say it all the time, I would love to get my sports psychology degree. On a daily basis I work with clients and see how much their mind holds them back. Their physical ability is consistently held back by their mental strength. 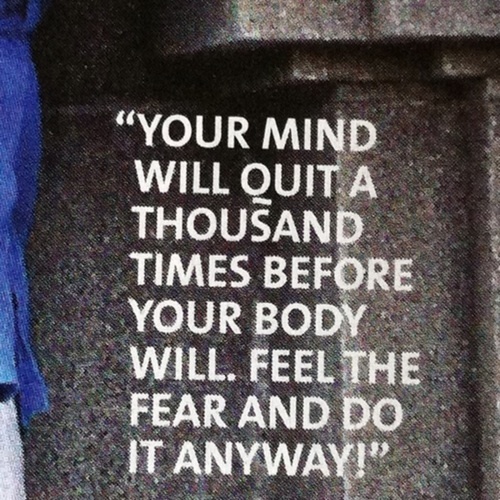 If you can learn to control the mind you will go places you never dreamed of…..in fitness and in life. My brother and I went on a trail run yesterday and had a discussion about this. We tend to have some of our best convos while running….not a coincidence, the brain and mind function better with exercise. (How do people live without exercise?!?) Anyway, I told him about me starting TM, and we went into the mental game of running, and how it is one of the reasons we race. We talked about some clients that we would expect to finish faster at races. Why don’t they? Is it that they are not physically capable? No. It is because they are not mentally ready to drive past uncomfortable. They are stuck in a comfortable zone, and they may even think they are at uncomfortable, but they can go so much harder. What is uncomfortable? It is that place that the outsider will look at and think you are “nuts”. It is the story you don’t tell to the non-athletes because they will never get it. It is the moment of the NBC viewing of the IRONMAN that most wonder, what kind of person does this? (I will say, watching the video Sian Welch & Wendy Ingraham – The Crawl – 1997 I think that same thing! )But, when you have done a race or trained and pushed past that moment when you thought you were done and continued to push on….then you get it. It is the story of life. It is what makes some successful, while others stay average. It is pushing past the point that others will never even get to. In races and in life it is always a matter of hanging on when others have chosen to give up. So, I hope to get a lot out of my TM. One thing I hope to do is understand this mind of mine a little more, becasue as hard as I now how and have pushed, I know I am capable of more….we are ALL capable of more.